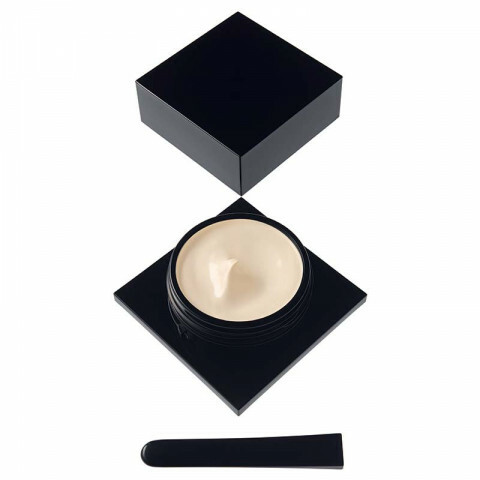 Cream foundation with a powder finish for a flawless complexion. That being said, it is beautiful. The finish is somewhat on the matte side, but not flat, dead matte. Dry skin could probably get away with not setting with a powder, but my combo skin needs a setting powder. The coverage is a pretty perfect medium, and I imagine it could be built up. Limited shades, but you could use the white color, B00, to custom mix. I have not done this, and it would be expensive, but it is an option if you love the formula that much. Not perfect, but unique, and worth it if you love almost all things Serge like I do.